Helping to turn ideas into solutions by providing innovative and cost-effective pilot scale testing equipment for water purification processes. For short term pilot studies that require conventional filtration piloting, Intuitech offers a week to week lease option for standard units. The concept of modeling full-scale water treatment processes by using Intuitech’s pilot-scale equipment provides a powerful method for analyzing water and wastewater treatment processes. 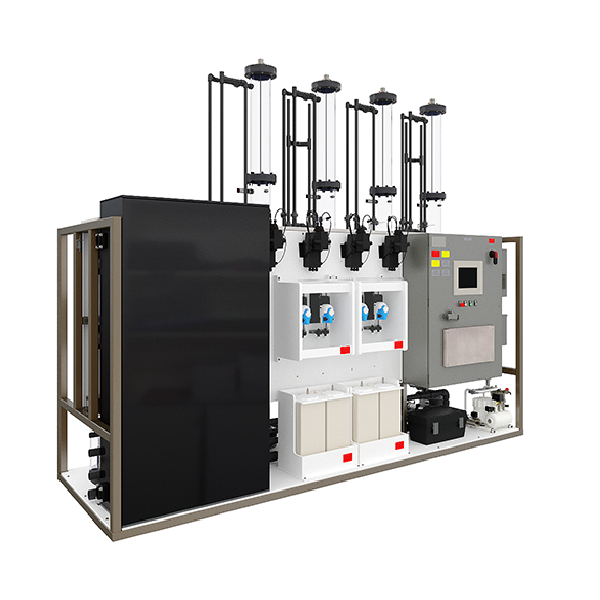 Intuitech offers the highest quality water treatment pilot plants on the market. Standard pilot technologies include granular media filtration/biofiltraion, flocculation & sedimentation, and ozonation. Intuitech fabricates custom pilot plants for advanced treatment processes including Reverse Osmosis (RO), Nanofiltration (NF), Ultrafiltration (UF), and Microfiltration (MF) cross-flow applications, physicochemical systems, ion exchange, electrolytic cell, and biologically active treatment systems. If portability is needed, pilot plants can be mounted within mobile trailers, shipping containers, and custom portable buildings. Portable enclosures include climate controlled lab areas and workstations for research personnel. Secure web enabled remote access is a standard feature for all pilot plants that include automation components and provides IoT compatibility. Empower your research and achieve confidence in your results with the tools you need to realize your competitive advantage. Contact us today!